Forgive me for asking this question, but what is Gretel trying to say with her second drawing in this Journal Entry ? Is that Alice or Miss Muffet: As in Did Miss Muffet transformed or did she do damage to Alice ? Also if Miss Muffet harmed Alice just how will this affect their Friendship/bonding time ? Never fear. 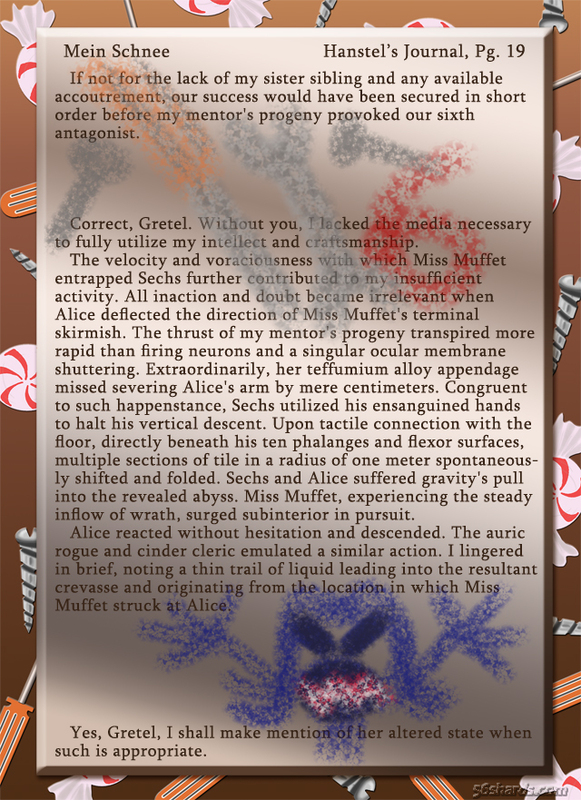 The friendship between Miss Muffet and Alice will be key much later on in the grand scheme of things so it can’t be ruined by this minor incident.